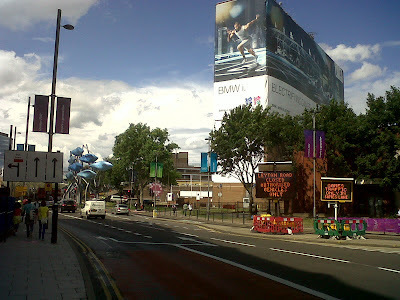 Retirement Investing Today: Is the London 2012 Olympics going to drive the UK deeper into recession? 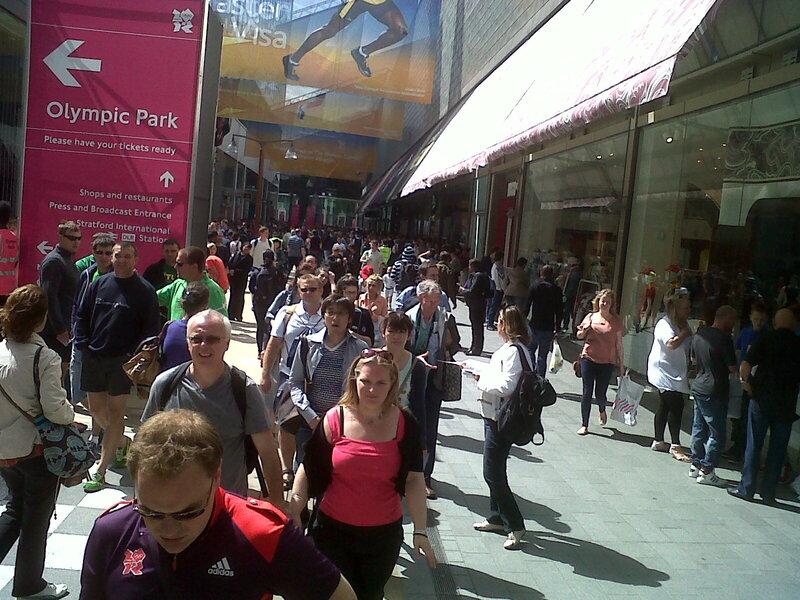 Is the London 2012 Olympics going to drive the UK deeper into recession? The construction for the 2012 Olympic Games is now over. The less than £9 billion stumped up by UK taxpayers (£142 for every man, woman and child in the UK) has been spent into the economy and claimed as GDP. Now it's time to reap the real rewards as the thousands and thousands of visitors from across the globe descend upon London, spend spend spend, put massive pressure on the transport system and generally crowd out the city. Anyone who lives in the UK and particularly London will have heard the cries to stay away if possible. If not possible then plan and book journeys well in advance. With these warnings ringing in my ears it was with much fear and trepidation that I awoke this morning and realised I had to travel into central London. 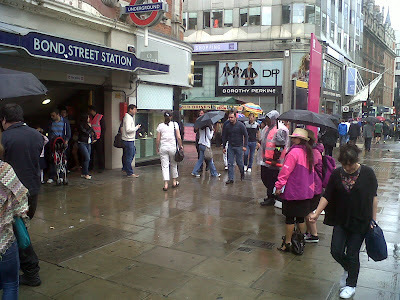 After a surprisingly easy Tube journey I alight at Tottenham Court Road and wonder if I am really in one of the countries busiest streets on a Sunday. 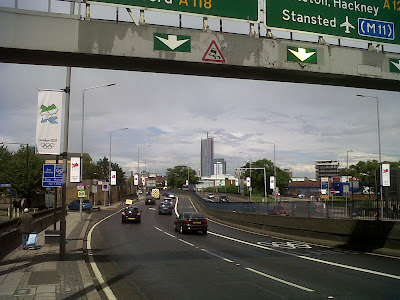 I never intended this to become a blog post and so apologise as I only had a cheap camera phone with me to record the day. 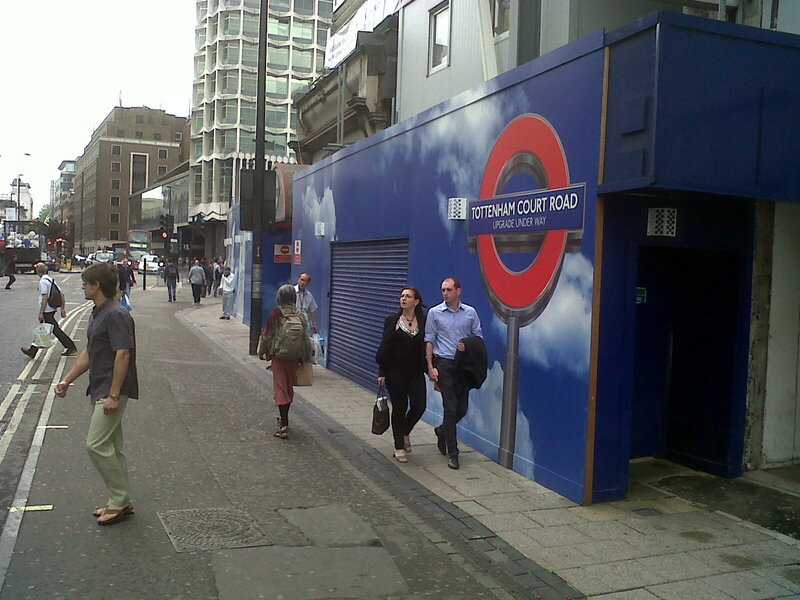 Mid way between Tottenham Court Road Underground and Oxford Circus on Oxford Street. 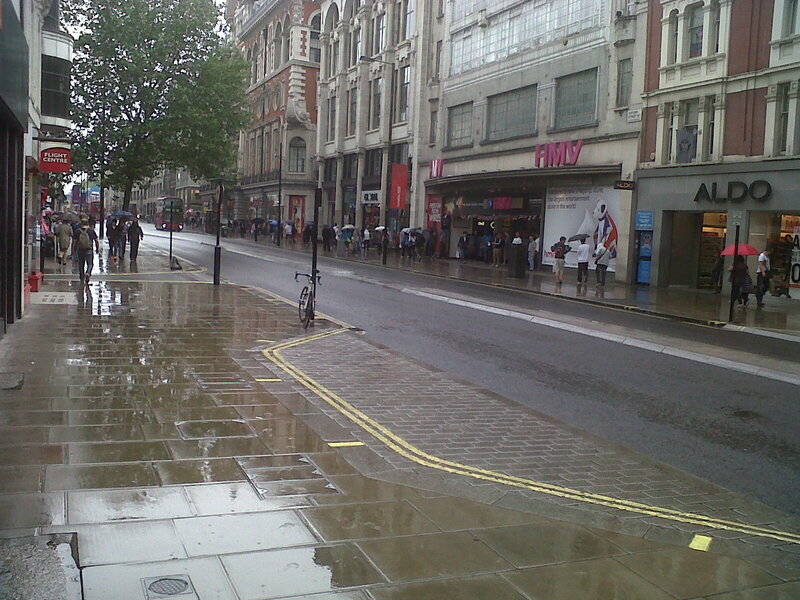 No London 2012 tourists or locals on the streets and nobody spending into the economy via HMV. How about enjoying lunch at the Official "Restaurant" of the Olympic Games? 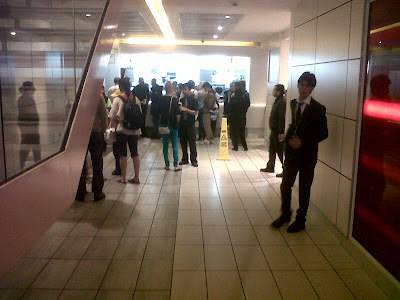 Very few enjoying a McDonald's lunch. This is Oxford Circus at lunchtime on a Sunday! 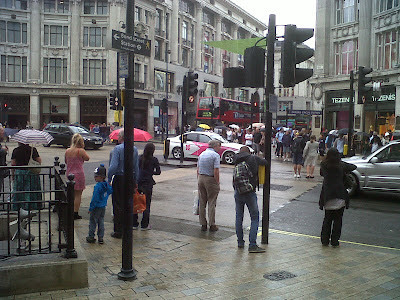 There's clearly an Olympics on as you can see one of the Official Automotive Partners vehicles all liveried up in centre shot. 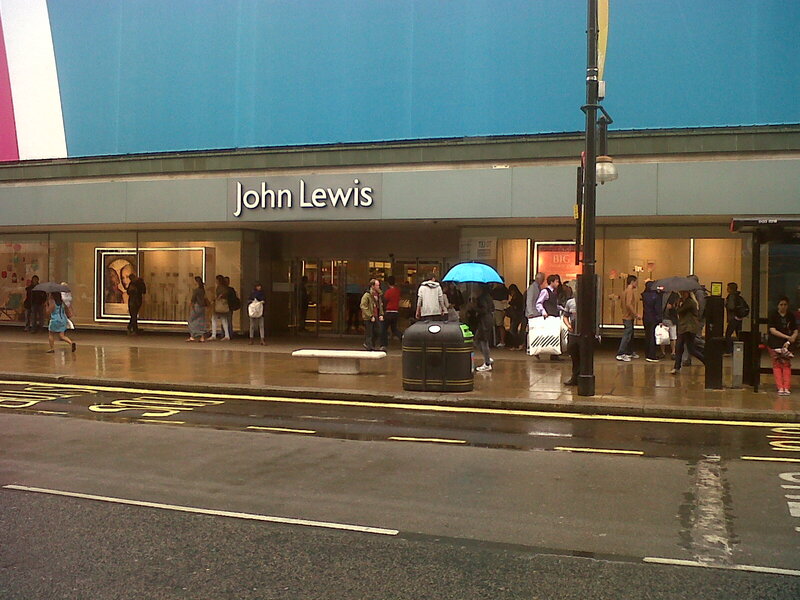 Unfortunately what I don't see is a lot of shopping bags nor a lot of people spending into the economy. 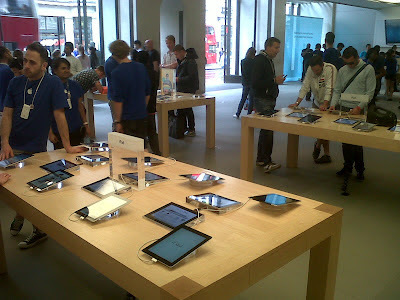 Maybe they're all at the flagship Apple Store in Regent Street buying iPads and iPhones. Nope not here. Note that everyone in the photo with a blue shirt is an employee. Maybe everyone is shopping at the Official Department Store Provider to London 2012 (whatever that means...). Nope they're not here either. I'm now wondering what's going on? 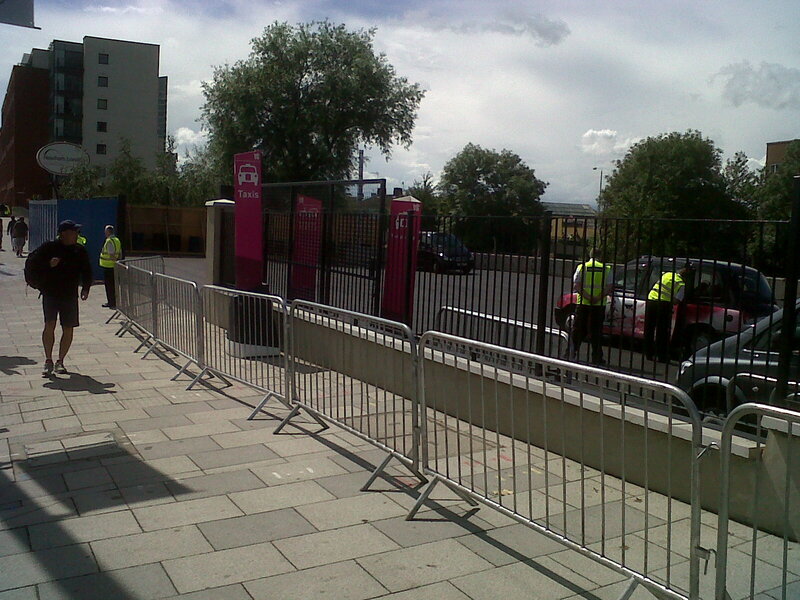 Of course, nobody is in Central London as they're all in East London at the Olympic Park. Time to investigate. About to head east to Ground Zero. Need an Underground ticket to head to the Olympic Park? Maybe everyone has already planned and booked journeys well in advance. 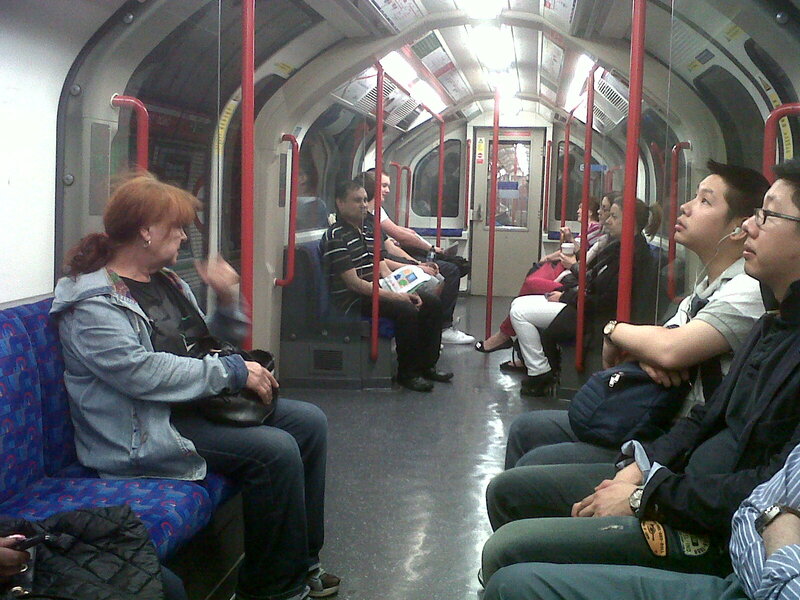 Sitting room only on the Central Line heading east. One of the main thoroughfares into the Olympics. This is the northbound Blackwall Tunnel Approach Road which is one of the Olympic Routes. 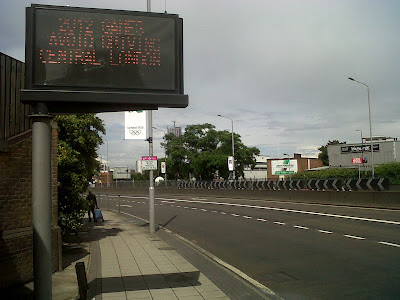 I'm now less than 1 mile from the stadium and can see the transport chaos that the Olympic Lane (the lane on the right) is causing. "2012 Games Avoid Driving Central London". Advice clearly being followed by all. The taxi drivers won't be spending the extra earnings from all the tourists into the economy. 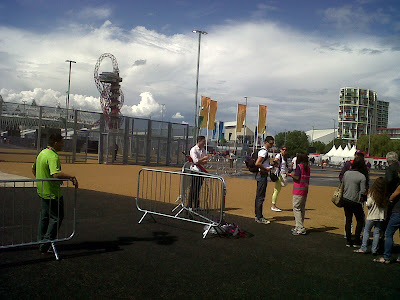 An Olympic Taxi rank right near one of the smaller entrances. 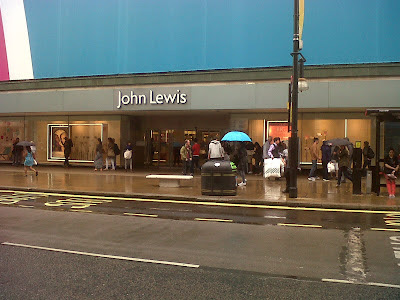 No queue and taxis lined up to right of shot. 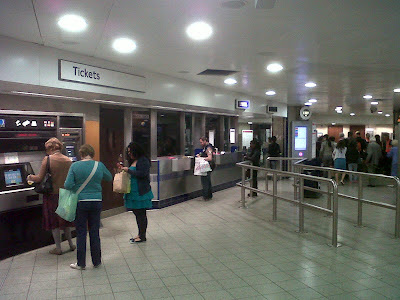 The smaller entrance. Plenty of open space for all the people to queue before the entrance. 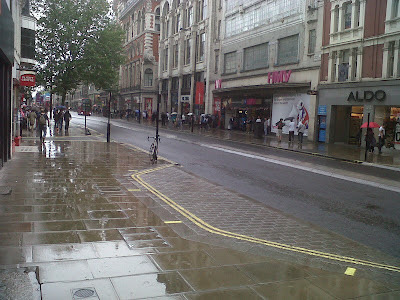 Just that there doesn't seem to be anybody to queue. With no ticket I could go no further. Downtown Stratford. 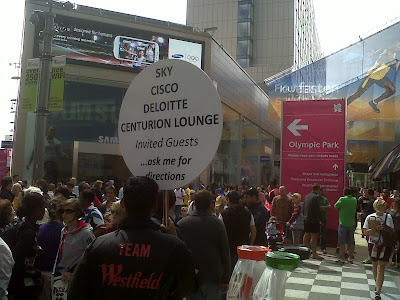 Less than 200m from Westfield Stratford and the main Olympic Park entrance. No people or traffic but a nice BMW Olympic advertisement. Finally found all the Olympic goers. 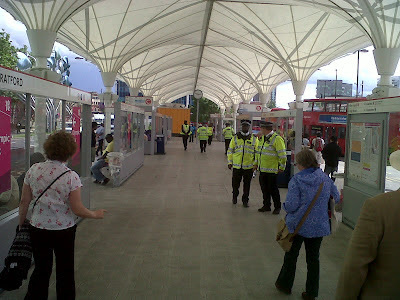 This is the shopping precinct (Westfield Stratford) that everyone is herded through if they want to enter the Olympic Park through the main entrance. This is completely self created congestion in an attempt to upsell tat and coffee to the punters before they enter the park. Unfortunately doesn't seem to be working. Not many bags or coffees in view adding to GDP. Don't worry if you're on the Corporate Entertainment band wagon. Help is at hand. Time to leave. Stratford bus station. Plenty of Police but not many punters. 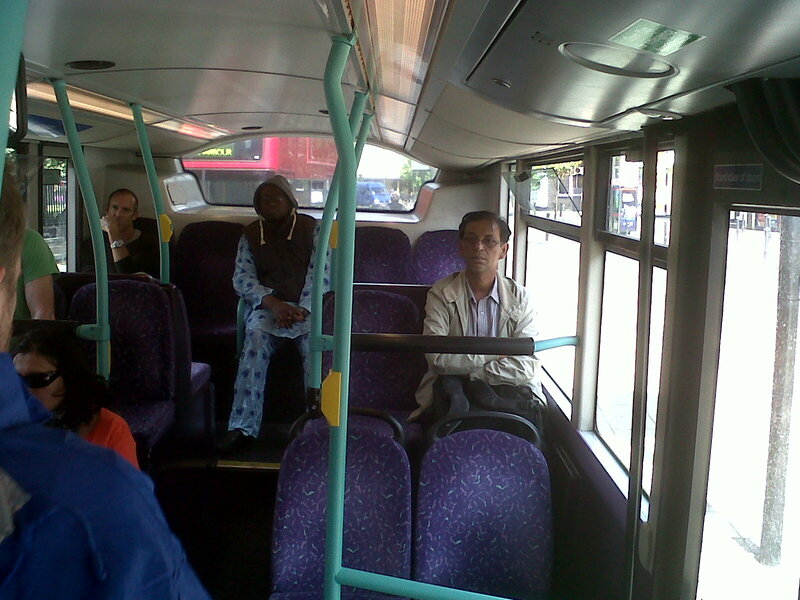 On board the number 25 bus. For a moment I actually thought I was on the wrong bus as this service is usually jammed to the rafters no matter what time of day. So the GDP for the construction has already been claimed. Similarly the GDP from ticket sales. I just hope that those that are actually inside the Olympic Park are drinking plenty of £4.20 bottles of beer otherwise the portion of GDP from London based services and consumption could be in trouble. Deeper recession anyone. Pretty sure it is a fact that no country has ever benefited monetarily from hosting the games (although I have no empirical research to back this up). And I'm sure tourism is always proved to drop during the games, which is pretty obvious really. Why would you go to a Games host town during the Olympics when you could go to it afterwards and avoid all the drama of closed lanes, security searches, supposed overcrowding, etc. ?